Experience the joy of owning a brand new Land Rover today! Land Rover Main Line has a great selection of pre-owned vehicles. Have our trained technicians service your vehicle today. Get approved today and drive off in a new or used vehicle. Land Rover Main Line is proud to be the source for luxurious, powerful, off-road friendly SUVs for Wayne and Main Line Philadelphia drivers. From the classic Range Rover to the entry-level Discovery Sport, our new vehicle inventory has one of the most diverse selections of SUVs, featuring standard all-wheel drive, advanced connectivity and safety features, and multiple varieties of leather seating. Whether you visit Land Rover Main Line knowing the model you’re looking for or you simply know you want the legacy of a Land Rover, a member of our team will work one-on-one to ensure you leave behind the wheel of an SUV that meets your standards. For added savings, we also feature a diverse selection of pre-owned vehicles, including Certified Pre-Owned Land Rover models. After we’ve helped you find your next vehicle, a member of our finance team will go over all of the details of your loan or lease. You can speed up the financing process by filling out our secure online finance application so our finance counselors can prepare a variety of options for you to choose from. Our dedication to you and your vehicle doesn’t stop when you head off behind the wheel. At Land Rover Main Line, we have a state-of-the-art service center staffed by certified technicians who know how to keep your SUV running in top shape. Whether you need routine auto maintenance or require repair work, we’ll take care of your vehicle and do our best to put you back behind the wheel as soon as possible. We’re proud to be a part of the greater Philadelphia area, helping Main Line and Wayne drivers find their ideal SUV. Contact us online or give us a call at (610) 756-1738 with any questions or to schedule a test drive. 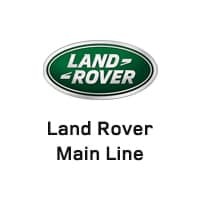 Land Rover Main Line	40.043859, -75.37871.